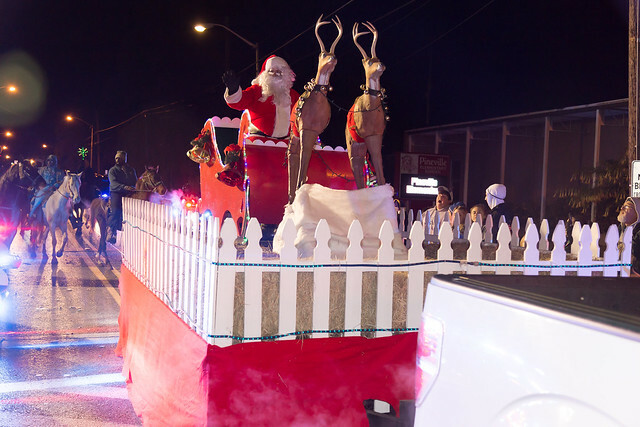 The time is upon us again for the Pineville Christmas Parade! The Parade will be on Monday, December 10, 2018, beginning at 7PM. The Parade this year will begin on Main Street at Hospital/Napoleon Blvd., in front of Huey P. Long. The parade will continue up Main Street to Military Highway and end at the Trotter Center (Military Highway at Claiborne Street). To register your float in this year's parade please click HERE and fill out the registration form that will open in a new window. 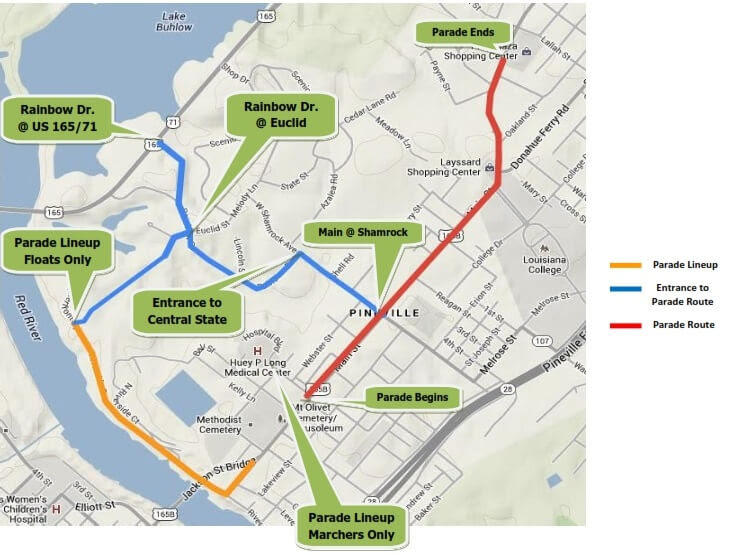 No entries will be allowed in the parade after 6:30PM. All riders must be on their floats at check in. There will be no vehicles allowed through the checkpoint, except for those vehicles in the parade. Float/car/truck line-up will be at Fort Randolph. Entrance to the park can be made from Rainbow Drive via Euclid Street from the rear entrance to the park. All marching groups/drill teams/bands will line up at Hospital/Napoleon Blvd in front of Huey P. Long Medical Center. You will be able to be dropped off at the intersection of Hospital Blvd. and Singer Street. This will be a drop off area only, absolutely no parking will be allowed in this area. All items being thrown from floats must be thrown as far away and as safely as possible from the moving vehicles. All floats and other entries must be fully decorated before being allowed to line-up. Please inform all participants of this information. We look forward to a great parade and to seeing each of you!! If you have any other questions, please call Madonna LeBlanc @ 318-445-3439.